You might remember in February, I announced that I became accredited as a La Leche League Leader. After a year of reading and education about breastfeeding, I started to lead support meetings, answer questions via email and phone, and respond to questions in our private Facebook group. At the same time, my co-leaders: Ali and Sara started to pursue a new breastfeeding organization, Breastfeeding USA. So we closed our LLL chapter and opened up Indy Breastfeeding Moms, a chapter of Breastfeeding USA. During this process, I resigned as a LLL leader and started the accreditation process of becoming a Breastfeeding Counselor with Breastfeeding USA. It's been a crazy transition process! Since our group of leaders are an all-in-one unit, it was easier for me to dedicate my time going through the course. And since I had less than 2-years of experience as a LLL leader, I'm going through a comprehensive course and I should be complete in the beginning of the year. It really feels like a college course! I'm enjoying it though! I'm reading about the science of lactation in my first module of training. Since Breastfeeding USA is a new organization, they went through a branding exercise. That's been fun to watch it with my marketing brain. They just did a big fundraising drive, which ended up exceeding their goal of raising money for the organization. 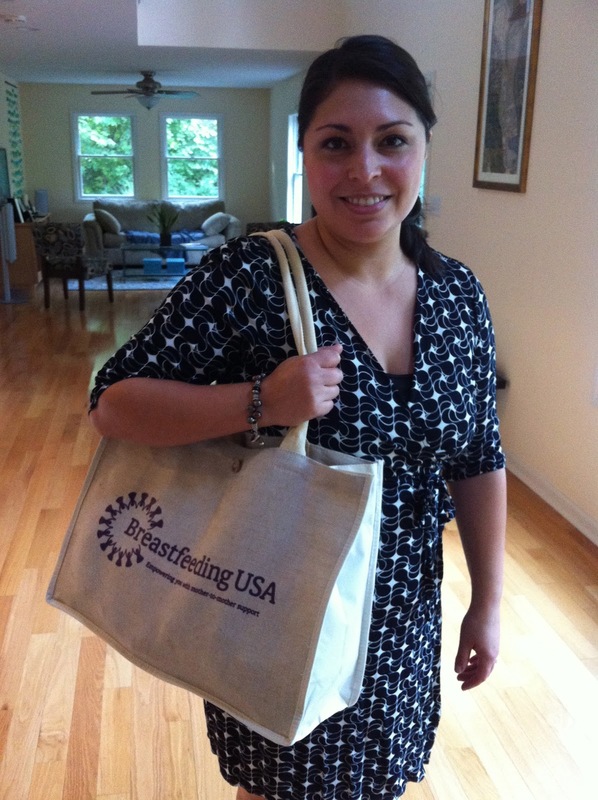 I made a donation and received this really cool tote bag as a thank you gift! I wore it today for the first time. Aaron took the picture for me and then Ava wanted a picture too! 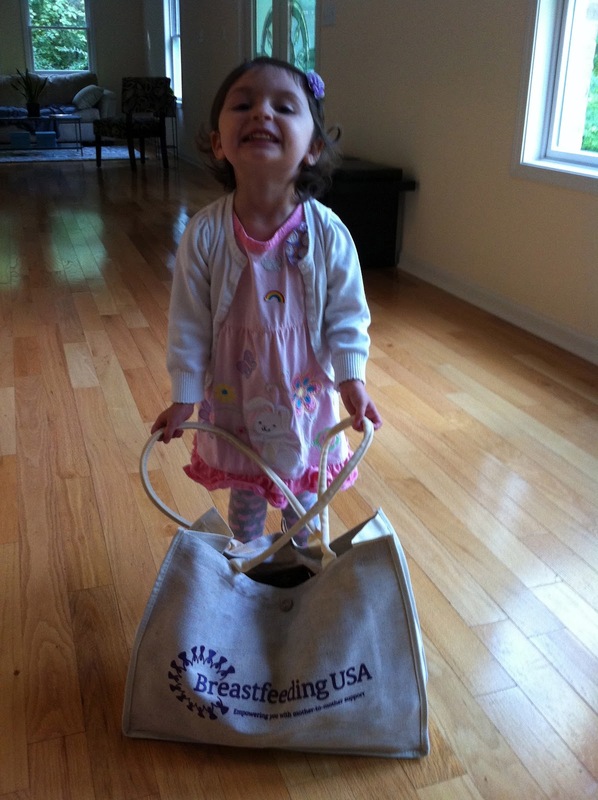 Ava and I are heading to Cincinnati on a day trip next Saturday for a tri-state Breastfeeding USA meeting with other BCs and BC applicants from Ohio, Indiana, and Kentucky. We'll spend the day planning the future of our local groups, which supports pregnant and nursing mothers through their journey of breastfeeding. So now, I'm doing lots of reading and continuing to learn about all aspects of breastfeeding and supporting mothers. It's very rewarding! I benefited from the help of experienced breastfeeding mothers when I first gave birth to Ava and now I feel like it's my turn to give back! I'm still on the journey! A foolproof, science-based diet that’s 100% guaranteed to melt away 12 to 23 pounds of stubborn body fat in justlose weight 21 days. The 3 Week Diet plan was so refreshing and so simple to follow. I did everything you said and lost 23 pounds in the first three weeks. I’m now starting the diet again to lose 7 more pounds. You have changed my life, and I am incredibly thankful.